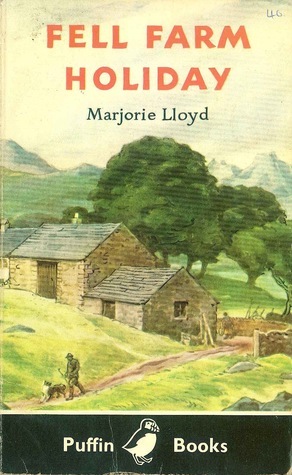 I am just delighted with this old-fashioned book about five siblings camping out and climbing the fells for their summer holidays. The simple charm of the story, the amusing dynamics between the Browne siblings, and the details of their little camping adventures, kept me absorbed and interested through every chapter. The two eldest siblings are Pat and Kay, twins with a love for hiking and camping. Pat is the leader of the group, and prides himself on his knowledge of survival and mapping. Kay is the quartermaster of the group, taking special care of the meals and all the supplies. The next set of twins are Jan and Hyacinth. Jan is obsessed with birds, and creates his own hiding spots where he can observe and sketch the birds of the fells. Hyacinth is more imaginative and dreamy, and loves to write stories of her own. And the smallest sibling is Sally, who is only eight years old, and so is not allowed to stay out all night camping, but still manages to join in the fun whenever possible. I adore this whole series!